Perhaps I should have seen it coming, Melbourne being one of seven international ‘Cities of Literature’. Even the fact that there are seven of them has a literary twang to it. Like the history of the world is an epic fantasy and we made the trek to one of the fabled Cities of Literature, built out of books or something. But I’m getting side-tracked by my own penchant for fantasy. 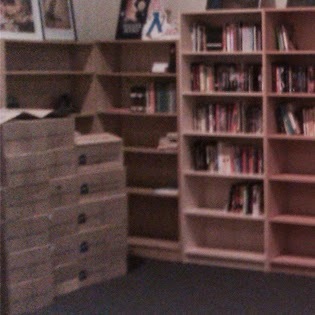 In any event, books were involved – in the move, that is (45 boxes of them, if I remember correctly). So we arrived, weary from the whirlwind month from offer to arrival, but excited at the possibilities. And more than a little scared too. I’m the kind of person that thrives on regular close contact with friends and family, and we’d just moved away from nearly all of the people we knew to a city where we knew all of two people. I quickly discovered that my work load had grown exponentially; the number of my monthly appointments had nearly doubled and on top of that, university by correspondence was not as easy for me as studying internally had been (read: people person/interactive learner). My nights became late ones and my weekends extended screen-front soirees. On top of that I had a whole new city to get to know. I’d only been to Melbourne twice. Once was when I was six or so, and the other time was when I was twenty when we came down for a weekend. But, thanks to my line of work I got to know my way around by bookshop. (It teams with the theme of City of Literature well, doesn’t it?) For a long time, if there wasn’t a bookshop in a suburb, I couldn’t tell you where that suburb was. But I have to say, it’s not a bad way to get to know a city. Living here, in Melbourne: City of Literature, has led me to discover shovel loads of motivation that I may have discovered in Sydney in time, but somehow I think that’s not giving enough credit to everything else that has happened. After all, change begets change and maybe Melbourne was exactly what I needed to get my writing on. We've made quite a few friends, and continue to make them. 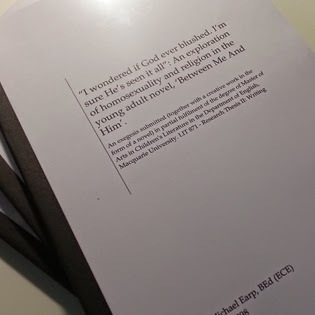 And now that my Masters is done and dusted (even if I haven’t received my piece of paper yet), I feel liberated to focus on absolutely anything my heart desires, which is presently creative writing and all the joys that go with it.